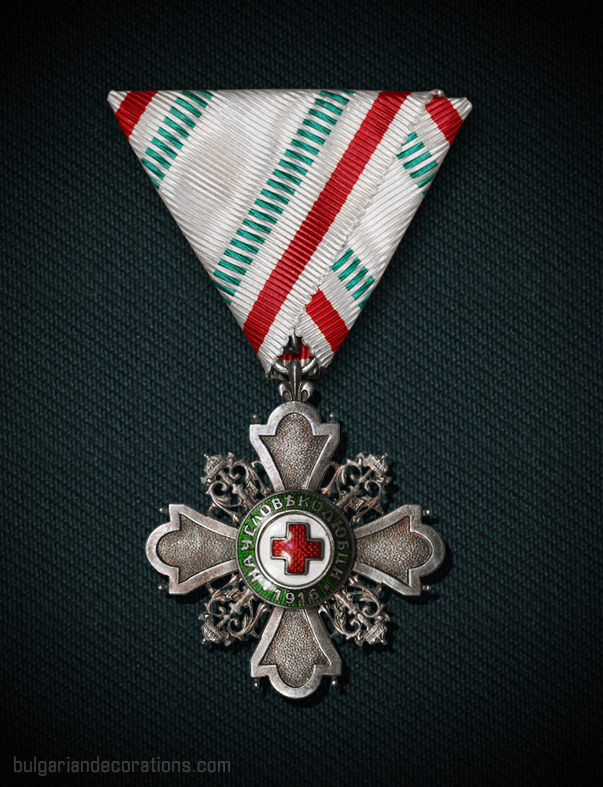 Home > Distinctions > Honorary distinction "For Incentive of Philanthropy"
Honorary distinction "For Incentive of Philanthropy"
Shape and dimensions: An elaborate Leopold cross with rounded sides, circular centre and royal cyphers in between the cross arms. Differs in size, depending on the class. Obverse: White enamelled cross arms, edged with red enamel. The central medallion represents an enamelled Geneva cross (International symbol of the Red Cross), while the outer ring of the central medallion is enamelled in green and bears the text “НА ЧЕЛОВѢКОЛЮБЦИ 1916“ / translation: To Philanthropists 1916 /. In between the cross arms are depicted the founder’s crowned royal cypher. Additionally, each of the cross arms are decorated with two small spheres, positioned horizontally on either side of the rounded side of the cross. The badge is suspended from a small fleur-de-lis holding a loop. Reverse: The same design as the obverse of the badge, the only difference being in the central medallion which has a centre enamelled in red and charged with a Bulgarian lion rampant, bearing Saxon coat of arms. The green enamelled outer ring bear the text “БЪЛГАРСКА ПРИЗНАТЕЛНОСТЬ“ / translation: Bulgarian gratitude /. Associated decorations: Medal "For Incentive of Philanthropy" and the Medal "For Life-saving"
The honorary decoration “For Incentive of Philanthropy” was founded amidst the Great War, though its dedication was more of a peace-time award. It has been presented to people with great merits in charitable, voluntary and any other humanitarian activities. 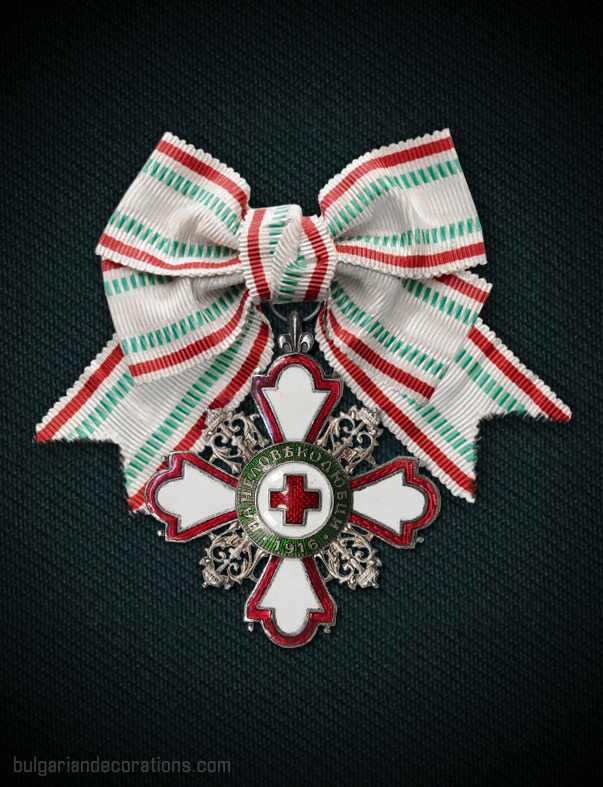 The first class represents a 59mm wide badge, which is suspended from a ribbon and worn around the neck, and a breast star with the same size and appearance (flat reverse, featuring pin and catch). 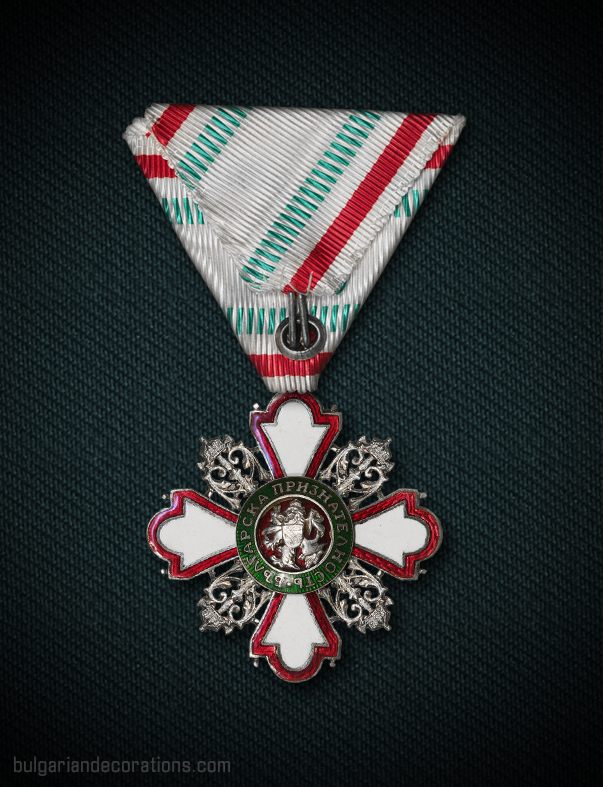 The badge second class was practically identical to the previous one, but was being awarded without the breast star. 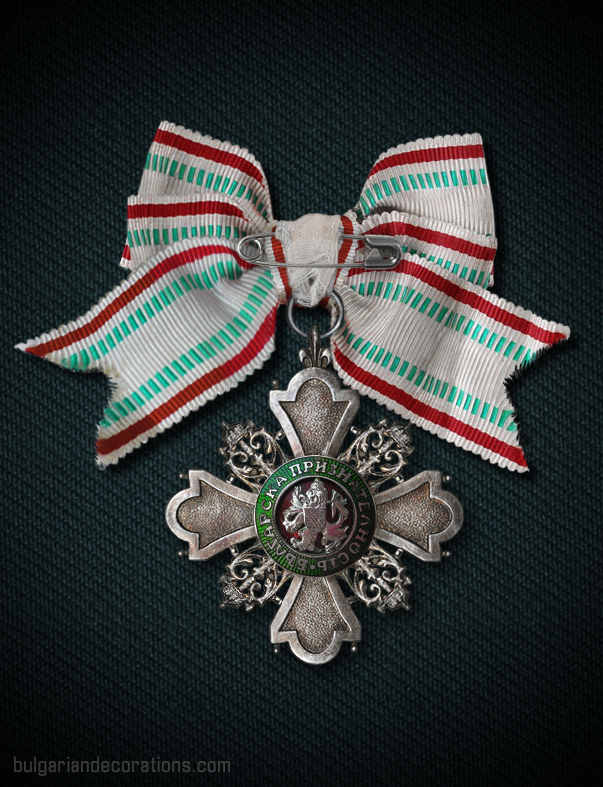 The third class represented a cross with 45mm long arms, bearing the same features as the above, but was awarded on a triangular ribbon and worn on the left breast. 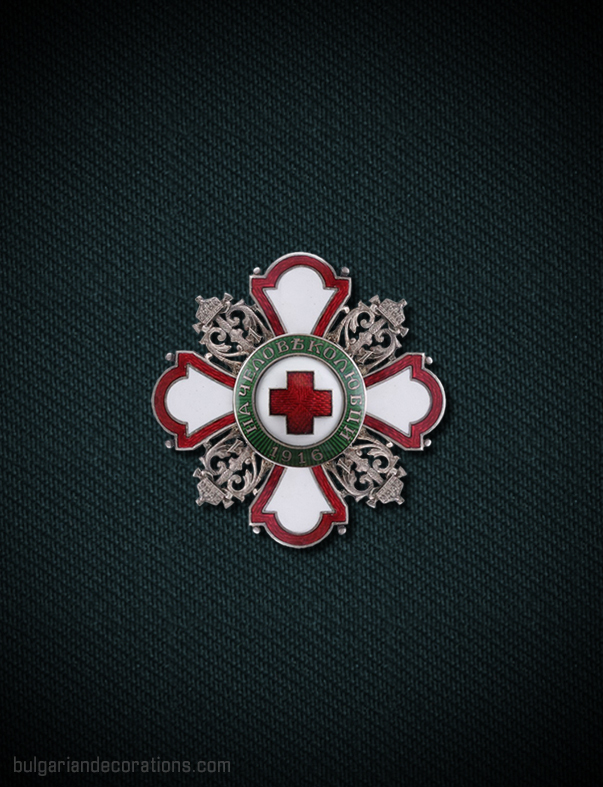 The badge fourth class is made entirely of silver (or white metal alloy), with the exception of the central medallion, which is enamelled. It was being worn on the left breast, too. The three classes dedicated to ladies were as follows: first class represented a breast star (the same as the one of the set for men), second and third classes were the same crosses as those of the 3rd and 4th class for men, though when conferred upon ladies, badges were suspended from a thinner bow-shaped ribbon. 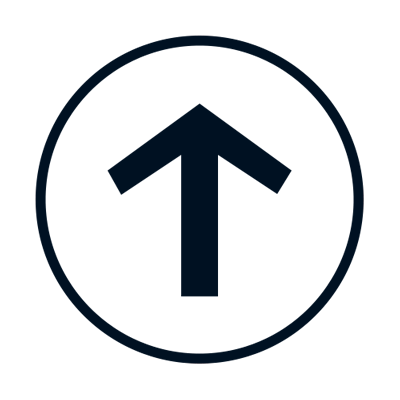 Due to its appearance, the honour badge is often mistaken for an order. According to its statute though, it represents an ‘honour badge’. 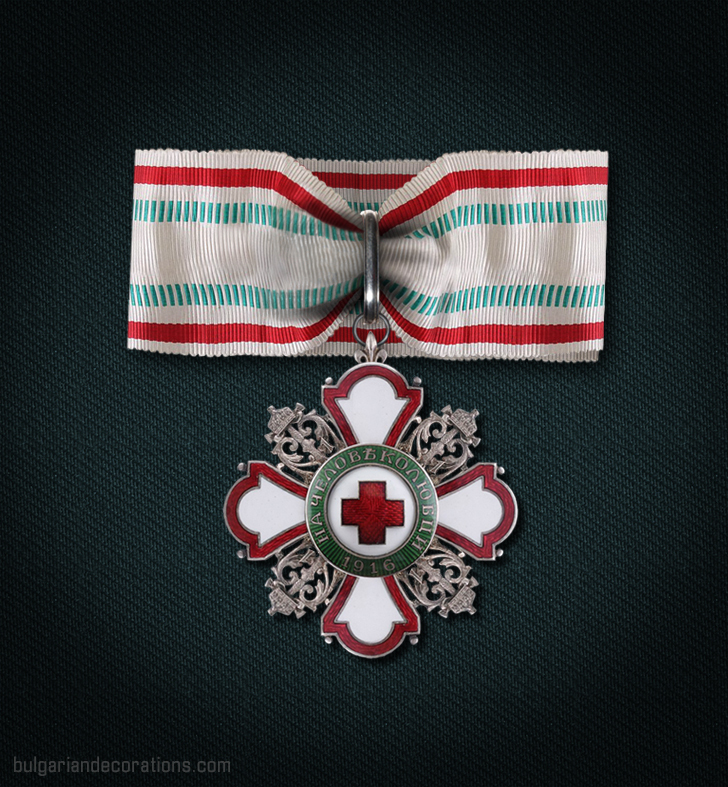 The medals “For Incentive of Philanthropy” and “For Life-saving” are both associated with it. 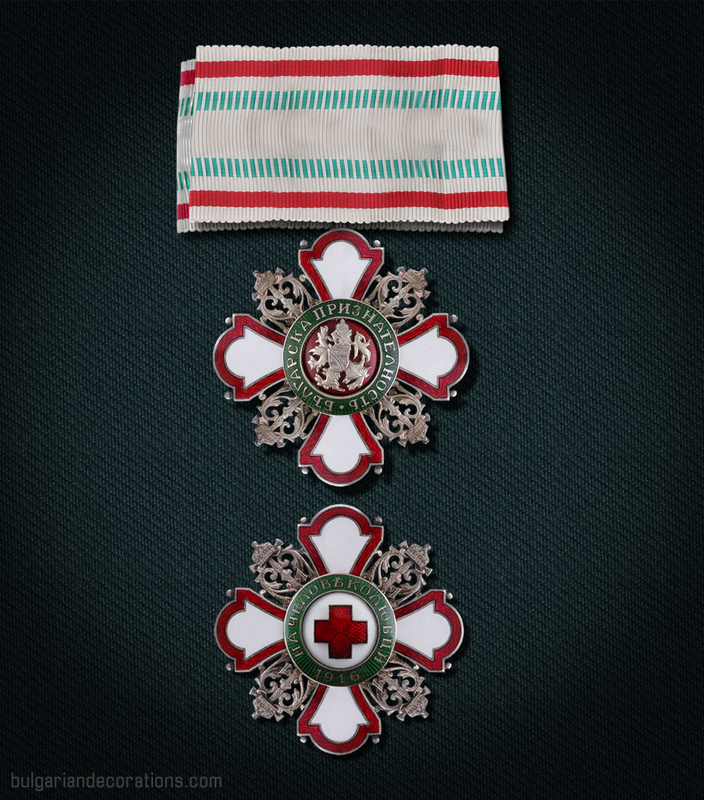 The honour distinction “For Incentive of Philanthropy” is one of the rarest Bulgarian decorations today. Unlike the two mentioned medals though, the majority of the decorations with the honour badge have been made to foreign nationals and in very limited numbers.